Human creativity or computer efficiency? With Bionic Advertising Systems, you get both. Some believe the future of advertising will be ruled by robots and algorithms. We disagree. We believe in a future where human creativity is unleashed by automating the mundane tasks that consume most of our time and energy. Bionic will enable you to achieve super-human results through advanced workflow automation. 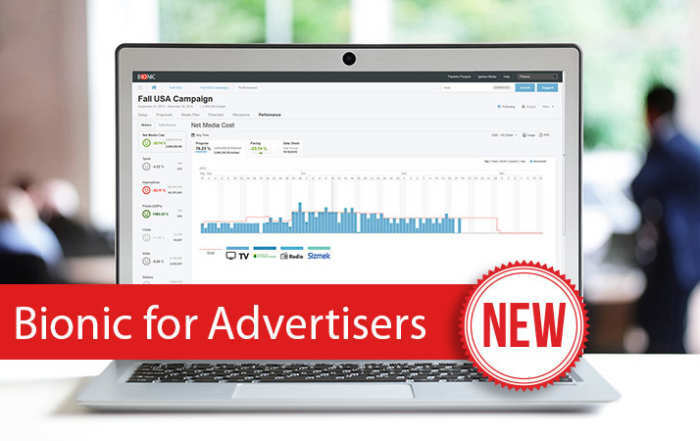 A technology company with a passion for advertising, Bionic Advertising Systems specializes in streamlining the day of media planner and buyer through software that lets them breeze through the busy, monotonous work and effectively monitor the impact of advertisements. Unlike other advertising technology start-ups whose lifespan is limited by their burn rate, Bionic is growing, profitable, and financially strong. We hail from New Hampshire which has the second highest concentration of technology workers in the United States and among the highest standard of living. We take pride in the “yankee ingenuity” that permeates our local culture. This pioneering spirit drives us to deliver enterprise-class software faster and more cost-effectively than big city firms. Instead of financing exorbitant salaries and expensive offices, you get high-quality software and personal service at a fair price. Located just down the street from Dartmouth College occupying the third floor above the Dartmouth Bookstore. For current openings, see job openings page. If you don’t see a job, but know you’d be great on the Bionic team, email jobs@bionic-ads.com. We love to chat about the state of the advertising industry and how we can improve it. Joe founded NextMark with the mission of helping organizations reach their market through addressable media. After speaking with marketers from across the globe, Joe realized that while the rest of the marketing world was adopting improving technologies, media planners were still at the mercy of Excel sheets. Between manual data entry, RFP management, and other low-value work, many simply did not have enough time in the day to be as creative or strategic as they wanted to be. 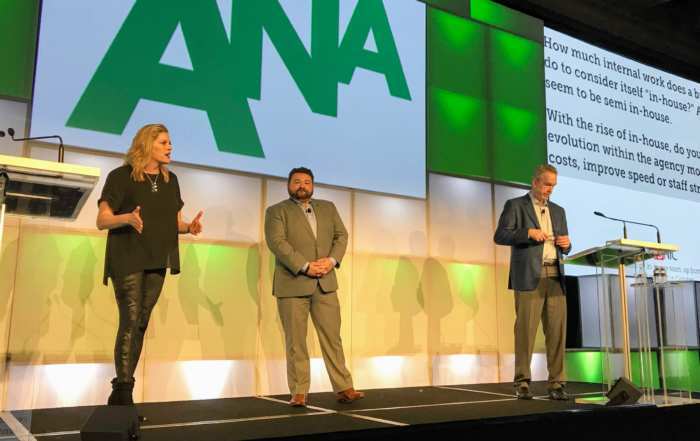 With this in mind, Joe co-founded Bionic as a business unit of NextMark to help media planners take back their day by letting the software take care of the robotic work. Joe built some of the world’s biggest marketing databases while with Exchange Applications and two mobile computing platforms while with Travelers. Joe holds 3 US patents, has been awarded the Marketing EDGE Rising Stars Award and is among BtoB Magazine’s Who’s Who List. Joe holds a Masters Degree in Computer Science from Rensselaer Polytechnic Institute and Bachelor of Arts Degrees in Mathematics and in Computer Science from Cornell University. Joanne’s title reads Director of Finance and Administration, but she does so much more. Besides keeping Bionic’s accounting, finance, and human resources operations in order, she also oversees testing and product management to ensure that users experience is seamless and all the bugs are squashed. 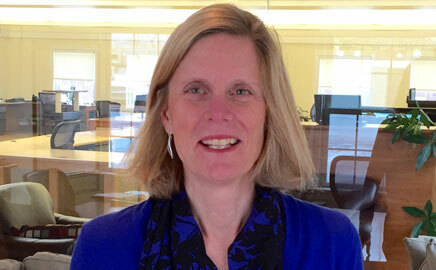 Joanne brings over 25 years of business management and product development experience to Bionic. Before joining Bionic, she was the Managing Director of isee systems, a software company that develops modeling tools for improving business performance. Joanne has also served in various product management, management consulting, and financial analyst positions at Tally Systems, The Planning Economics Group, Braxton Financial Group and General Electric. Joanne holds a BS in Mathematics and Computer Science from the University of New Hampshire and is a graduate of GE’s Financial Management Program. Weiping leads the architecture and development of our products. He brings more than 20 years of software development experience with firms such as TomTom, isee systems, Tally Systems, High Performance Systems, and Concepts NREC. 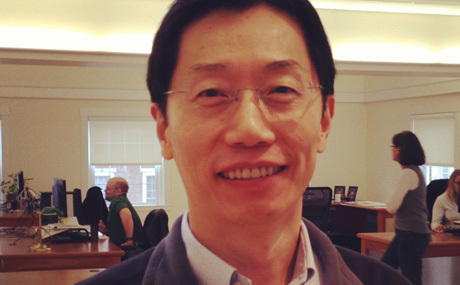 Weiping holds a Masters Degree from Dartmouth College. 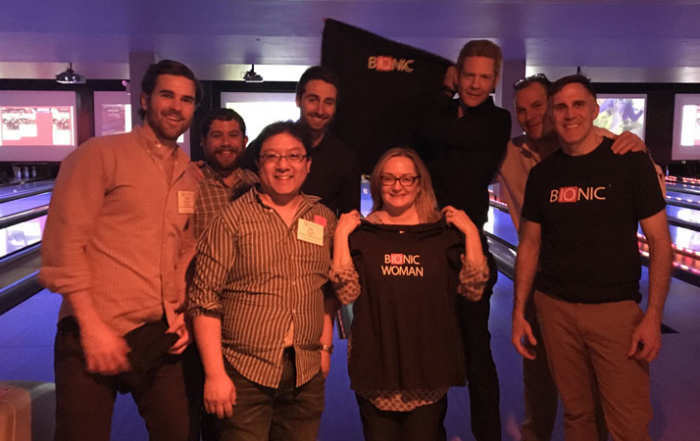 As Bionic’s Client Success Director, Casey leads a team dedicated to our customers. With the goal of helping clients get the most from our products and services, she and her team provide training, customer support, data card content creation, best practice advice, and auditing services. 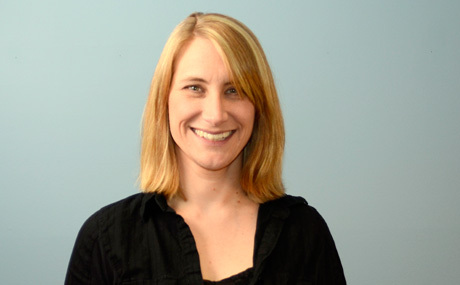 Casey brings more than 15 years experience in software and 10 years in marketing technology. In her spare time, she helps her husband run a recreation center and creates one scary Halloween haunted house. If you build it, they will come. Jim is the builder at Bionic as he leads architecture and development. He started his career as a Reactor Controls Officer in the US Navy. 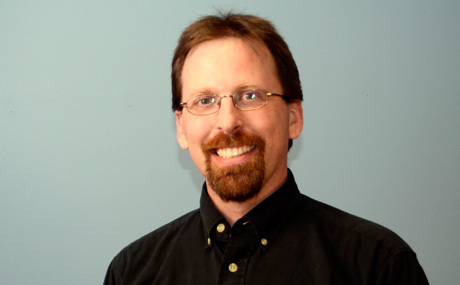 Since 1986, Jim’s held a variety of software development roles at Reliable Stores, Tally Systems, Novell, and NextMark. Jim holds a BA in Mathematics from the College of the Holy Cross, where he was awarded the G. McBrien Award for the top Mathematics student. He’s a graduate of the US Navy Nuclear Power School. 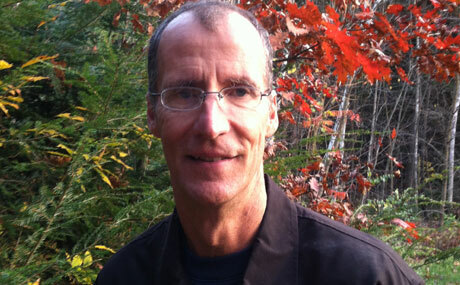 Jim has taken additional Computer Science coursework from the University of Massachusetts. Media planning needs to be blazing fast. Users enjoy a brisk journey and integration with numerous platforms thanks to John’s work on Bionic’s technical operations and data center. 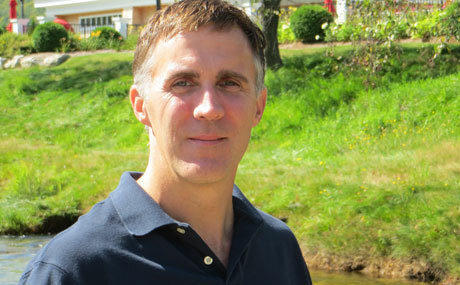 John has 20 years of experience in the design, development, implementation and support of large scale systems. Most recently, John served as Director of Customer Value Management Sales Support for Xchange, Inc. where he sold and implemented customer relationship management systems to Fortune Global 500 clients including Citibank, National Westminster Bank, Commerzbank, ANZ, Acxiom, Dutch Railways, Vodafone, Hong Kong Telecom, and Hitachi. Prior to that, he worked as a consultant at American Management Systems where he implemented tax and accounting systems for the states of Mississippi and Massachusetts. John earned his BS in Management with Computer Applications from Worcester Polytechnic Institute.